Our recent webinar with Tobias Gilk and John Posh included a Live Q&A session. Below you will find details of all the MRI safety questions asked as well as responses from Tobias and John. How does the MRI magnet effect cell phones? Tobias: Badly. Even though most mobile / cell phones are largely plastic, glass, and silicon semiconductors, there is enough ferromagnetic material in most cell phones that they can become dangerous projectiles. Plus, exposure to the electromagnetic fields of an MRI can damage or destroy a phone, even if it doesn’t become a projectile. John: Since there are no cell phones that are currently deemed MRI Conditional, the two should never meet. That said, if a cell phone inadvertently meets the magnetic field there are two likely outcomes: 1. The cell phone will be subjected to translational forces and become a projectile; 2. The magnetic fields will likely damage the phone in some way. If you are referring to the recent news regarding cell phones dying en mass, that was determined to be caused by elevated levels of helium gas which is something that cell phone electronics are unable to deal with. If you are in UK does MRHA count as an equivalent search? Tobias: MHRA is the closest equivalent in the UK to the US FDA. I don’t know, however, if MHRA has a public database of accidents and injuries related to approved medical devices. John: Medicines & Healthcare products Regulatory Agency (MHRA) is the UK equivalent of the FDA. I have been unable to find an equivalent of the MAUDE Database. When you state device malfunction, does this also include drugs (i.e., contrast – Gadolinium)? Tobias: The US FDA wants (requires) feedback data on every FDA-approved drug or device. While the FDA governs drugs and devices as separate departments within the agency, the requirements to report mishaps and negative reactions are similar. John: All drugs are regulated by the FDA and as such adverse events and reactions should be reported. How can failure to report an incident to MAUDE impact ACR accreditation? That is not a requirement to my knowledge. Tobias: ACR MR Accreditation criteria don’t explicitly call for reporting to the FDA, but the ACR’s MR Accreditation *does* point to the ACR Guidance Document for Safe MR Practices, and that does state that sites should report adverse events. Yes, it is an indirect element of ACR’s MR Accreditation program. John: The ACR accreditation program makes no requirement for following the ACR Safety recommendations but they do reference the guidance document. Since the guidance document recommends reporting, it is really an indirect issue but that is the standard operating mode of the ACR. Should we not scan patients that are large enough to not be able to use sponges and touches bore? Tobias: Bore padding is not an issue if the study / equipment allows you to use a transmit / receive anatomy-specific coil (so that the integral body coil built-in to the wall of the MR bore isn’t the source of transmitted RF), so there are studies where padding from the bore wall provides no safety benefit. Even if the study / equipment does use the integral body coil for transmit (and pads / sponges can’t be appropriately placed), that doesn’t necessarily mean that the study must be cancelled. Proceeding *without* padding would increase the risks of thermal injury to the patient. If the study warrants the risk (and this ventures into the realm of the risk : benefit and informed consent), then the decision to go forward is a medical decision and – in the US – is the perview of the supervising physician for the MR study. John: Pads are the standard of care but the decision to pad or not based on body habitus becomes a risk benefit decision. Scanning any patient without pads should be done only after approval by the radiologist that the benefits derived from the test outweigh the potential risks of canning without proper padding. What about the thighs that touch, on almost every patient? Tobias: The risk of burns at points of skin-to-skin contact is a function of the flow of e-fields (the siamese-twin to RF power) through the patient’s body. E-field distribution in the body is rather complex, but imagine the e-field distribution as being tied to the volume of RF power deposition with a bungee cord. It can wander beyond the area of RF deposition, but it gets harder and harder to do, the further it gets from the volume of RF deposition. So, for a brain study on an adult patient of average height, for example, the risks of significant e-fields travelling down to the legs is rather small. Our gowns have non-ferromagnetic snaps which have never exhibited any heating what so ever. We do remove the gowns and replace them with gowns without snaps. If they show no issue in MRI then can we keep them on patients? Tobias: A single electrical conductor needs to be several cm in conductive length to have a meaningful risk of heating from resonant circuit effects. A single snap, at a cm or less in diameter, would not be a high risk of a burn, in my opinion, as long as basic patient positioning criteria were observed. John: The dimensionality of the snap is unconcerning for resonant heating. As long as the snaps are non-ferrous and not in direct contact with the patient there is generally no issue. I am not able to find any incidents on the MAUDE site when I enter MR or MRI into the product code. Am I searching incorrectly? Tobias: The FDA assigns a three-letter product code to every approved device. One would *think* that the three-letter product code for MRI would be “MRI,” but that’d be too easy. The FDA’s product code for MRI devices is “LNH”. John: LNH is the acronym for Literally No Help in some circles. In the MAUDE Database it is the search acronym for MRI. Any similarities are purely coincidental. If a blanket is not enough how can we guarantee a 1cm sponge will prevent a near field proximity burn? What is the sponge actually doing that the blanket failed to do? Is 1cm always enough to absorb the extraneous energy? And if the patient is so obese that no sponge can fit in… what then? John: It is not a bore vs sponge issue. It is more of a standards issue. Blankets vary in thickness, have different compositions, and can even contain conductive fibers or treatments. The standard sponges issued by the manufacturer are designed for use in MRI and provide the spacing recommended by the manufacturer. Should all patients should be wanded with a metal detector before entering Zone 4? 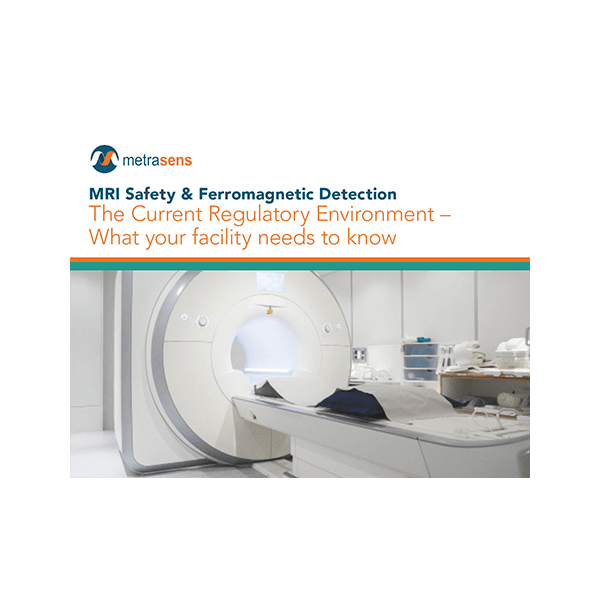 Tobias: Per the ACR Guidance Document, and many other best practice standards, patients (and other persons entering the magnet room) should be screened with ferromagnetic detection systems. Many MR manufacturers / vendors sell conventional airport-style wand detectors, which are not recommended. In fact, the ACR Guidance Document goes so far as to specifically recommend *against* the use of airport-style metal detectors, but recommends the use of ferromagnetic detection systems (FMDS). John: The term metal detector is a misnomer. The industry standard is ferrous only detection and the current recommendation by the ACR is that FMDS be installed in Zone II for patient screening and Zone III preventing ferrous objects from entering Zone IV. Additionally, whole body screeners have been proven to be much more sensitive for the detection of hidden ferrous content. the Ferroguard Screener has peer reviewed literature supporting its use in detecting implanted devices that others, and especially hand wands, do not have. In the second case study, wouldn’t the facility also be required to complete a MAUDE report? Tobias: The FDA has – at two different times – given me two different definitions of what constitutes a ‘serious injury’, which is the threshold for required reporting. The first response was that the seriousness of an injury was a clinical decision, so essentially it took a doctor’s determination that an injury was serious enough to warrant reporting (the ‘fox watching the hen house,’ in my opinion). Later (and this appears in other FDA documentation) I was told that “serious injury” = hospital admission. I don’t know about you, but I would consider a broken limb, for example, as a serious injury, but per the FDA if it didn’t result in hospital admission, it doesn’t rise to the level of serious in the context of mandatory reporting. John: They should have reported it. My guess is that since it was likely going to be a legal issue and it was public on top of that, the internal decision makers decided not to report it. How do you suggest overcoming the effects of alarm fatigue when using Ferromagnetic Detection Systems (FMDS)? T: The use of FMDS really ought to be integrated with a site’s policies, procedures, and daily practices. ‘Plop and drop’ FMDS installations (where there’s little integration by the site, and little coordination and training by the vendor) can lead to alarm fatigue. When FMDS are integrated with the operational model, then spurious alarms (and the resulting fatigue) can be dramatically reduced. If your site has an FMDS, and is experiencing alarm fatigue, it may be – in part – the product itself, the siting of the product, and / or the operational practices in the area around and leading up to the FMDS.  Metrasens provides expert facility and operations evaluations for MRI safety, and expert training and integration consulting, if this would help your site. J: Alarm fatigue is a problem in sites that purchase FMDS without a plan to integrate them into their workflow. If properly installed, and the processes for use are based on solid methodology then extraneous alarms are less of an issue. Excessive alarms can be caused by poor calibration based on site workflow, excessive ferrous materials in the sensitivity area, or work practices that are not optimized for FMDS. Apart from USA’s FDA Maude system, are there any other countries that have something similar? T: I’m not aware of any other countries that make their adverse event reporting system publicly searchable. I wouldn’t be surprised if there are other national systems, but I’m not aware of any. What is the time frame that events need to be reported in? T: If the adverse event results in a death, then I believe that both the site and the manufacturer need to report directly to the FDA within a day of the event (or of becoming aware of the event). If it’s an injury (or non-injury event), then I think the report is supposed to be made within 30 days. Can I search by facility of report? T: Nope. For the protection of patients, providers, and facilities, all identifying information – except product identifying information – is removed from MAUDE listings. In some cases, however, it’s possible to match circumstances in a MAUDE report to other accounts, but the FDA will never confirm that a MAUDE event is the one that you’re reading about in the press. Case Study two illustrates a good example of how problematic the information is on MAUDE. Given the lack of detail and possible validity of the content, why even consider the data presented on MAUDE? T: While it’s definitely true that there was nowhere near the amount of information we would like to have to conduct a root-cause analysis of this event, even with the paucity of real information there is still plenty to teach us important lessons, such as (1) patients may be carrying firearms or other concealed ferromagnetic items, (2) patients may give incorrect information about complying with staff direction on safety practices, (3) changing patients would meaningfully reduce the risks of such an accident occuring, and (4) the use of FMDS would meaningfully reduce the risks of such an accident occuring. While MAUDE does have significant shortcomings, it’s clear that we can draw important information from even this poorly-documented example. J: Just because the current database is flawed does not mean it is without value. If we can learn from the current events, use the limited information contained within them to prevent recurrence, and work towards improving future submissions, then I think it is well worth our time and effort. What is the process to reporting incident/unsafe implant information outside of your own organization? T: All MRI burns result from RF power transmission from an RF transmit coil. The mechanisms that produce the burns are different and there’s not a single ‘silver bullet’ prevention that stops all burn risks. This webinar focused on ‘near field’ or ‘proximity’ burns, and how padding can prevent these. In the future we will do case studies on other burn types and discuss causes and preventions for those types of burn injuries. J: A coil burn is an adverse event and should be reported regardless of the underlying root cause, i.e. shin to skin conductive loop, near field positioning error etc. Dr. Kanal has stated that there is under-reporting due to many gag orders imposed by various institutions. Is this still a major issue? T: I would take Dr. Kanal at his word on this issue. As you can imagine, if gag orders prevent formal reporting of MRI accidents, they probably also prevent informal reporting. In other words, we’re not likely to get information from any providers that they have gag orders to prevent formal reporting. J: Dr. Kanal is involved with a great number of MRI legal cases and if he makes this claim then its veracity is beyond question. I will add that the data surrounding the case can still be used without exposing the facility to risk so I think facilities are wrong to take this approach. The fact that reporting to MAUDE is anonymous is a big advantage, but what else can we do we avoid a blame culture so we can view this in a positive light and learn from near miss and adverse events? T: That is the most important question for preventing future accidents and injuries. We need to work on creating ‘just culture’ institutions, where we can distinguish between system problems and individual problems. It’s not an easy task, because some of the steps of just culture require admitting mistakes and owning responsibility for errors. That terrifies some people who learned in more punitive environments. J: Blame is about something unfamiliar and scary in my opinion. Open discussions on these topics makes it clear that these events can happen to anyone and we can all learn from them and take steps to reduce the likelihood of them happening to us. If these events are discussed at Safety Committee meetings and correlated with current hospital practices for the purpose of effecting change then blame becomes less of an option, in my opinion. If difficult to PAD a large patient, let’s say on a 3T, would it be better to then scan them on a 1.5T with low SAR techniques? T: A 2 W/kg sequence on a 1.5T is delivering the same 2 W/kg that the patient would receive if scanned at 3.0T. Higher field strength scanners, because they *do* deliver more power than lower-field systems *for the same flip angle* typically have lower flip angles, or fewer excitations, or greater inter-echo spacings for a sequence. If a site is concerned about diffuse power deposition, that can be managed at both 1.5T and 3.0T. Addressing focal heating (burn) risks is more complicating than just moving from 1.5T to 3.0T. J: The padding issue is not about Static Field Strength. It is about providing a spacer between the patient’s tissues and the source of the transmitted Rf power. Would it be reasonable to ever decline a patient due to large body habitus and the fear of burning due to not being able to use appropriate cushioning? T: The decision to refuse patient care is a clinical decision (in the US, this means a decision to be made by a physician). If the determination is that the risk outweighs the benefit, then yes, this could be an appropriate decision. However, if the supervising physician can’t really identify the source and nature of the risks, and what risk-mitigating steps (less than cancelling the exam) could have been taken and why those would be insufficient, then they may not be meeting the level of expected evaluation of the risk factors in making a risk:benefit determination. J: Declining to scan a patient is both the easy and risky way out in my opinion. Failure to diagnose is a common cause for legal action and a talented lawyer will want to know why you refused. Stating the patient is too large will not make it go away. The responsible physician must make a decision to scan or not based on the increased risk, and possible outcomes based on that risk, of scanning a patient without padding. Amateurs say no, licensed professionals find a way to say yes. What’s considered a B1 modulation technique vs a low SAR technique? T: B1 and SAR are different measures of the same electromagnetic radiation. B1 is measuring how much water flows out of the tap (transmitted RF energy), and SAR is a measure of how much water gets soaked up by the sponge positioned under tap (absorbed RF energy). If you change one, you’re almost assuredly modifying the other. J: For our purposes here they are one and the same. B0 is the static field, B1 is the Rf field. So, when we say B1 modulation we are talking about tempering the Rf. Low flip angles, shorter echo trains, B1 modulation techniques (vendor specific), and favoring Gradient based sequences over Spin Echo based sequences are all ways to lower transmitted / absorbed power. In a day and age of cost cutting how is it best to justify the cost of an FMDS to my facility? T: Many years ago, the VA’s national center for patient safety did an economic analysis of what a projectile accident costs the VA. The average cost to the VA was identified as $43,172 per accident, and that didn’t include a mess of ‘soft costs’ that would be attributable to these events. Besides there being a direct financial argument, FMDS are also now required by many state authorities (and The Joint Commission) for new construction and new equipment installations. J: FMDS are recommended by the ACR and as such it could be held against you for not complying at the time of inspection or in the event of an incident. If you need more justification, a facility that scans 3,700 MRI’s per year can average the cost of a full FMDS set up of a screener and entry control device over 7 years to just over $1 per scan. If these devices reduce the incidents of delays due to unexpected ferrous stuff, and they do, they will actually pay for themselves through re-starts, and lost sequences. FMDS can also actually improve patient flow in a MRI facility. Good use of FMDS screening has been shown to capture ferromagnetic items that have passed through conventional screening. Finding even smaller ferromagnetic items may reduce the incidence of artifacts and the need for time wasting and costly scan re-starts. Do you recommend removing all patches even if there is no metallic backing. I have read that many should be removed including fentynal patches? T: There are (to the best of my knowledge) two safety concerns for MR patients with transdermal (TD) patches… that the patch might heat up and cause a burn to the patient, or that either the patient or the patch may heat up to a point where it changes the dose delivery rate of the patch. If the patch, itself, is not in the volume of RF irradiation, then the first risk (that the patch may heat enough to cause a burn) goes away. If the patch doesn’t have indications about avoiding heating (e.g. hot environments, direct sun, rigorous exercise, etc…), then it is my interpretation that if dose-delivery concerns don’t rise to the manufacturer’s level of concern to warn us about, then they’re probably not to a level to worry about. This means that many TD patches can probably stay on MR patients without risk of harm. J: Patches should only be removed if there is a manufacturers recommendation to do so prior to MRI. Most non-foil backed patches are perfectly fine for MRI even if they will be in the irradiated field. Foil backed patches are more of a concern if they are in the RF field but the recommendation remains the same, follow the manufacturers guidelines. Have you had adverse experiences with tattooed eyebrows or eyeliner? T: Directly? No. But there are adverse event reports (and anecdotal reports) of tattoos experiencing irritation and what appears to be heating. Like with transdermal patches, if the body part with the tattoo is not in the volume of RF irradiation, then I don’t see how there could be a mechanism for a burn. If the tattoo *is* in the volume of RF irradiation, then it may be prudent to put a cold compress / heat sink on the area with the tattoo, as a preventative measure. It’s also worth noting that gradient energies may induce very high-frequency vibrations in electrically-conductive materials (such as metallic tattoo inks). In sensitive tissues (like the region around a person’s eyes) vibration may be perceived as warming. Be aware of whether the tattoo is in the region of high RF power, or in the region of high gradient power. J: Cosmetic tattoos used to, and still can, contain ferrous particles in the ink though the trend is towards non-ferrous inks. As with any potential conductor that is in the irradiated field, it could be necessary to use cold packs to reduce the potential for any excessive heat from concentrating solely in the tissues. What improvements have been made to metal detectors to reduce the amount of false alarms? T: Before I answer, I need to clarify a bit of vocabulary… To the best of my knowledge there has *never* been a documented case of a true false alarm with a FMDS (an alarm in the absence of a ferromagnetic / magnetic signal). There are what I refer to as spurious alarms, or the device doing what it’s supposed to do when we don’t expect it to / want it to. There are two issues with spurious alarms from FMD systems… the first is – brace yourself for this – ferromagnetic detection systems detect ferromagnetic materials. We just don’t realize how pervasive ferromagnetic materials are until we have a device that tells us when they’re around. The second is that people can be reluctant to change. These two crash into each other when we introduce a new detection tool, and the site takes no active steps to reduce the amount of ferrous material circulating in the region of the FMDS. There are three things that can help diminish spurious alarms… technology, environment, and process improvement. With exiting alarm cancellation, visual-before-audible alarm systems, non-ferrous transports and more, the technology to reduce spurious alarms keeps getting better and better. That said, if someone continues to walk through a FMDS with giant rodeo belt-buckle (or wheeling patients right up to it, or skating across the floor in the console chair next to it), then the device will go off. The more that we can protect the ‘zone 4 funnel’ from ferromagnetic materials that don’t need to be there, the fewer spurious alarms you’ll have. Lastly, if you explore alarm conditions when they occur, you’ll either decide ‘alright, I’m tired of this… no more Dansco shoes’ and further reduce the rates of spurious alarms, or you’ll at least be able to do a spot risk-assessment of everything that can trigger an alarm. J: FMDS do not have false alarms. If they go off it is because they detect ferrous materials. What people are often concerned with is how can I get it to detect stuff on patients and visitors but ignore “my” stuff like bras, shoes, Fitbits etc? The answer is, you can’t. It’s the reason why you can’t just install these devices and continue to do what you have always done. Small changes on workflow and possibly dress code, along with proper calibration of the FMDS to your work enviroment will maximize safety and efficiency, and minimize extraneous alarms. What is best practice for monitoring anaesthetised or unconscious patients as in case #1? T: If your question is specific to burns, this is one of those ‘ounce of prevention’ answers. Quite honestly, there is very limited value to monitoring non-responsive patients for thermal injury, because the mechanisms that cause the burn are sneaky. If you properly screen, position, and pad a patient it becomes almost impossible for an RF burn to happen. It’s also worth mentioning here that even your awake and alert patients may not be able to detect that they’re being burned while it’s happening, so proper positioning isn’t only important for anesthesia patients… it’s important for all patients. J: Monitoring for excess deposition of energy leading to burns is not likely possible with today’s technology. I would say the best practice for a patient undergoing anesthesia would be to be extra vigilant regarding patient prep. Confirm there are no unintended conductors etc, isolate, both electrically and thermally, any needed conductors, and position with pads to ensure no skin-to-skin contact or close proximity to the bore walls. Where can I find the minimum thickness requirement for padding? T: Your MR system operators manual should have a safety chapter that specifies this. Alternatively contact your service engineer and have them find the information for you. How can we learn more about delayed burns? T: We will have other webinars where we’ll do case studies on other RF burn mechanisms (and preventions). J: I would suggest a literature search for starters as well as Shellock’s MRI Safety Textbook. Outside of that, look for more safety related webinars from Metrasens. I often hear from some of my technologists that they’ve been taught that a sheet or blanket is enough to ‘pad’ a patient, and that it’s because it keeps them from being ‘shocked’ by the bore of the scanner. How can we improve how technologists are taught MRI safety in school, before they even begin scanning patients? T: Unfortunately, there’s very little that’s standard in the way that RTs (or even MDs) are taught about MR safety. I agree that we need to reach people earlier in their professional lives so that there’s less ‘unlearning’ of incorrect information that needs to be done. If you file a report does the FDA follow up? T: For most events, I believe no. If there is an event that presents a novel (to them, at least) failure or accident, or that involves the interaction between two or more FDA-regulated devices, then they may. J: I have never heard of a site getting a follow-up from the FDA. Should we report “near misses” or just incidents that happen? J: ALL incidents and near misses, however slight, should be reported along with all available information so that we can learn from them. Are we encouraged to enter near burns or events that are non-manufacturer related? T: If the burn rises to the level of serious injury, you are required to report it. Even if it doesn’t meet that threshold, I’d still encourage you to report. J: ALL burns, however slight, should be reported along with all available information so that we can learn from them. Are there tools/standard templates to use for self risk assessments of your own facility or an MRI safety calculator? J: As part of our comprehensive MRI Safety Audit program we have developed a risk score tool. It is currently only for internal use but we are exploring the release of it as part of an upcoming webinar. Stay tuned. What data field is best to search for ‘MRI’ events? I see Brand Name, but no general search field. J: Navigating the database is not difficult but it is complex. I recommend doing the simple search and varying the keyword. Stick to a 1-year window till you are comfortable with the amount of data you are getting. Does our employer need to approve me writing a report on MAUDE? T: That depends on your employment agreement and the site’s specific policies regarding reporting. J: That is a conversation I would have with the departmental manager etc. What would you estimate is the time commitment when reporting a near-miss “Good catch” event to MAUDE? T: The form is actually pretty simple and straight forward. I expect it could be done in an hour with a helpful level of detail. Is there any regulatory requirement for patient injury reporting, including State / DPH? T: Several states have their own reporting requirements, and others have no reporting structure, whatsoever. I recommend you contact your accreditation / compliance officer to help identify what standards you should be following for adverse event reporting. J: Each state has a different reporting requirement. Check with your risk management office on what your state requires. What is considered an Adverse Event? T: An adverse event – as I define it – is anything that doesn’t go as intended and may have consequences to health or safety. J: Any unintended outcome is an adverse event. As far as annual MRI education, is there any specific guidance given by FDA, ACR, or TJC as to what that education should include or is that left up for interpretation? T: TJC has explicit subjects which are part of the minimum annual MRI safety training. See their Diagnostic Imaging Standards HR 01.05.03 for the specific criteria. And please watch for future webinars by Metrasens that are explicitly designed to provide the Joint Commission required minimum MRI safety training. Can a technologist report an event to MAUDE or does it have to be the MRMD or MRSO? T: The FDA will accept adverse event reports from anyone. Your facility, however, may have a structure for adverse event reporting, and may intend that these events be funelled through specific individuals. J: Anyone can report an event to MAUDE. Are MR accidents still trending up year over year or have we seen a peak? T: The numbers of FDA-reported MRI adverse events has been bouncing up and down over the last few years. It would appear that the annual number has plateaued, but we ought to have the capacity to bring them down, considerably. Plateau is progress, but not enough progress. J: Given the horrible reporting rate all we could do is speculate that they appear to be stable. Is it only incidents in the USA and that can be reported to MAUDE? Or can other countries input? T: Some MR system manufacturers appear to believe that if the equipment is fundamentally equivalent to US marketed products, then the adverse events involving that equipment (even if outside the US) should be reported. FDA reporting is not limited to events that occur within the United States. J: I recommend all incidents be reported. Scanners sold in the US are often extremely similar to what is exported outside the US ad as such repeat events could happen anywhere. Can you explain why and how near FOV burning occurs? Do you suggest having a pad under the elbow and on the side of the elbow laterally, even if the elbow is not touching the bore. T: Near-field burns likely occur for one or two different reasons. When close to a transmit source, RF waves have the potential to act as a dipole (microwave) and produce heating through that mechanism. Also, while MR systems are designed to have the RF as homogeneous as possible in the imaging volume (near isocenter), RF power is very *in*homogeneous at the bore wall (where the transmit elements are) and there are ‘hot spot’ regions where there may be unusually strong RF fields. Even small increases in distance can have a large mitigating effect on these contributing factors. My facility instructs us to have patients remove all yoga pants because of metallic thread used in some of these. Have you heard of any instances of this occurring? T: Yes. Increasingly, in athletic clothing spreading to other types, we’re seeing antimicrobial treatments that may make regular cloth electrically conductive enough that it may act like a wire or lead. It is a good idea to remove all clothing items that are treated as antimicrobial or anti-odor. Because clothing items don’t need to be labeled for antimicrobial treatments (and therefore any piece of clothing could be so treated), it’s prudent to have patients change out of all street clothes that might be in the volume of RF deposition. J: Since we have no control of the composition of any street clothes, the industry best practice it to change all patients into hospital supplied scrubs or gowns. This includes undergarments and seemingly “safe” clothing like leggings. Although the mechanism is different, it would be interesting to know the overall occurrence of 1. MRI burns and 2. Radiation induced deterministic effects (burns). The latter receives a lot more attention in general than the first. Comparing occurrence could raise awareness and balance it out. Thoughts? T: That would be a really interesting paper! I’d be really interested in seeing those results. J: Agreed. If you want to be lead author, I would be happy to be co-author with you. Just need a good physicist and a medical statistician to round out the band. Does MAUDE actually send someone out to a site if the event causes death? Or is this done by state and governing boards? T: I believe that the FDA would only send someone if the mechanism of the death or injury was one that they didn’t understand or thought was something that could be managed more effectively with regulation / oversight of the manufacturers. Otherwise FDA does not have point-of-care authority for MRI. J: I have never heard of the FDA sending someone out in response to a report. Have Cochlear implant – related injuries ever been reported to or are currently listed in the MAUDE database? T: I suspect that a combination of the ‘regular’ search (with parameters for product code, date range, event type, etc…) and the ‘simple’ search (which can use boolean search language from the entire MAUDE database, could help you find these types of events. J: The “LNH” code for MRI will get you ALL MRI events. There are additional filters that can be applied to help narrow the search. I tried it with both the Simple and Advanced search functions and it works fine. Do you have to ask permission from the hospital before reporting a near miss? What if they do not allow you to report it? J: Your policy and procedure manual is the guiding book by which you will operate. Know what is in it and if there is no policy for reporting then ask to have one added that relies on open and transparent reporting of all adverse events. What is the recommendation regarding staff changing into scrubs that stay within the hospital? T: Infection control professionals appear to be in favor of the idea of staff scrubs that don’t leave the hospital (so that hospital pathogens don’t go home with staff), and don’t have to be brought in (so that pathogens encountered on your way into work aren’t introduced). I don’t know that this is an MRI safety issue, specifically. J: I think it depends on the facility and their internal policies. An OP imaging center might be fine with coming to work in scrubs after stopping for coffee, a lunch, gas, etc. A department in a cancer center with immunicompromised patient, or an intra-operative hybrid unit might find that practice unacceptable. Work with your facilities leadership and infection control folks to find the best practice for your patients and facility. Would a spontaneous quench be considered an adverse event if patient was in the bore at time of quench? T: I would say so… yes. J: Given the potential for injury if that were to recur I would say a resounding yes. Do we have an update statistic on how many incidents have occurred over the past 10 years? In one of Toby’s article he stated that MAUDE reported MRI accidents in the US have risen over 500% from 2000 to 2015. Any current statistics? T: That data is still the most current. There hasn’t appeared to be a significant change (up or down) in the last few years, so I would be surprised if there was a significant move in the last few years. What is the most common reported event for MRI? T: For MRI equipment (not including gadolinium reaction events), burns are the most frequently reported adverse event. Can we report MRI employees that have been injured in the MRI scan room? T: I would recommend reporting any equipment related injury or near-miss. J: Absolutely. If I were injured, or near injured, I would absolutely hope that by reporting my event it might prevent someone else from getting hurt. I saw an event reported to MAUDE that seemed to be reported by a patient. Is this common? T: No, patient-reported events are the minority, but there are patient-reported events submitted almost every year. Could a patient receive a burn, similar to a sunburn, and not realize it? T: Yes, in fact we believe it occurs frequently. The burn is from RF excitation, not from a hot source, so patients who are burned frequently have no sensation of focused heat or pain while they are being burned. J: The primary effect of Rf radiation on biological tissues is heating due to resistive losses. This is pretty analagous to the definition of solar radiation. Short answer, yes. Is there a list of MR sequences that have less SAR? T: In general, the more signal, the more RF / higher SAR. If you have two options to get an image, and one of them takes 2 minutes and the other takes 5 minutes, the shorter sequence will often have greater SAR. If you want lower SAR, slow down your studies. Your system should report the estimated SAR for every sequence you plan to run. J: Less SAR is a relative term. Spin echo sequences have less SAR than Fast Spin Echo sequences. Gradient based sequences have less SAR than Spin Echo sequences. Within the sequences you can reduce SAR by shortening the Echo Train Length (ETL) (WARP), increasing the TR, reducing or eliminating spatial pre-saturation pulses, or reducing the flip angles where possible. Why do some vendors automatically set SAR limits high? Why are we forced to choose normal SAR limits? Do they not realize the danger? T: This is a very good question and there seems to be some different interpretations of this among the vendors. J: I cannot answer this question because I do not speak for the OEM’s. I would definatley have this discussion with your local account rep and ask them for their companies’ policy or position statement on it. Vendors do respond to customers’ needs and concerns and you should feel free to be open and honest with them when you have a concern. How thick does the padding need to be for a 3T magnet? 1.5T magnet? T: The padding for each individual MR system will be specified in the operator’s manual. Please consult the manual for each MR system. J: ALL scanners have both an onboard HELP menu (F1key, Help key etc. ), and a detailed user manual called the Instructions For Use (IFU). In one or both of those places you will find a massive amount of information regarding the safe operation of the scanner you purchased. It is, by the way, what the OEM will refer to legally, if you do something outside of their recommendations. Do you feel FMDS give a false sense of security since they only detect ferrous metal? T: If MR staff have been taught that a FMDS is there so that they don’t have to do all of the parts of their duty to screen patients and visitors, then I could see how someone might get that impression. However, FMDS should be used with an accurate understanding of what the devices can do (and what they can’t), and how they fit in to an overall safety and screening regime. If you use *any* tool outside the range of its capabilities, you may be operating dangerously. J: FMDS are just tools and tools are only as good as the process we put in place surrounding their use. When used properly, in conjunction with an interview-based screening process, and review of medical records when necessary, then NO they do not result in a false sense of security. Hearing loss has been reported by a small amount of patients who were provided earplugs and a headset. What else could we do to minimize harm? T: The majority of cases of MR-related hearing damage reported to the FDA are for instances where the patient was provided hearing protection. What I think we need to do a better job of is verifying fit-and-function of the hearing protection. Make sure patients are instructed on the proper way to place ear plugs, and that there is an opportunity to verify that the hearing protection is meaningfully attenuating the sound levels before the MR exam begins. J: Yes. The issue as I see it is how we provide hearing protection. I have been to facilities where earplugs are handed to the patient with very limited instruction and I have seen sites insert them for the patient. What I rarely see is a site test the noise dampening effect by asking the patient how they are working. Additionally, in the Instructions for Use of some manufacturers it is stated that for 3T scanners and high noise sequences, that the patient be provided BOTH earplugs and Headphones. Is it possible for an alert and oriented patient not to notice a burn for 2-3 days post MRI scan? T: There are many accounts of patients discovering burns when they get ready for bed in the evening, or get dressed the following morning. I suppose it would be possible that such an injury might not be discovered (or communicated to a healthcare provider) for a few days after. J: Early in my career I would have said no, but over the last 30 years in MRI I have learned that stranger things have happened. Perhaps the patient has limited pain sensation or very high tolerance. Perhaps they noticed pain but attributed it to a sore muscle or the indication that took them in for the MRI in the first place. Either way, I would think that 2-3 day is on the long end of reporting but possible. We struggle with non removeable piercings, or patients not wanting to remove them. Do we scan or do we not scan? Yes, we can check with a magnet or ask a rad, but there’s never that real clear-cut answer. T: The injury risks come from RF related heating and static magnetic field torque and translation. If the piercing isn’t going to be in the volume of RF irradiation (or if it’s only a couple cm in conductive length), then significant RF heating shouldn’t be an issue. If a FMDS or test magnet can determine that the piercing material is not overtly ferromagnetic, the torque and translation forces should be modest and manageable. In short, I think there a few questions which – if answered – can give you an indication of the safety of a piercing that stays in or on the patient. In regards to burn potential, mitigating with lower SAR can almost double the scan time on some scanners. What is the trade-off between lower SAR, longer scan time vs faster scan higher SAR? T: I think you’ve described the main trade offs in your question. SAR is specific absorption *rate* (the speed of energy absorption). If we slow down the study, then we reduce SAR. You can also reduce total energy input (reduce signal), but often standard clinical scans aren’t built with lots of surplus signal. That means scan time is typically the main trade off. J: All things are a balance. When it snows, you drive slower to get where you are going safely. Could you just do the same thing you would do on a sunny day, sure. The three factors of image quality are SNR, Resolution, and Time. Signal is generally the currency we use to buy stuff and the only things we can buy is resolution or time. So, if we take a sequence and remove some of the signal, one of the other two things will suffer. Resolution changes can reduce diagnostic utility so time loses out. You can watch the webinar again On Demand here.